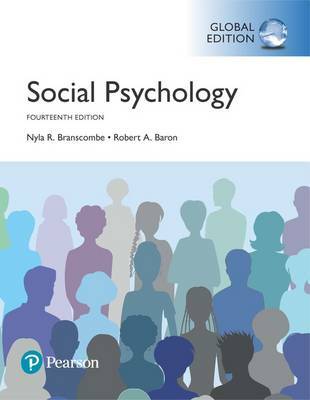 Social Psychology, Fourteenth Edition retains the hallmark of its past success: up-to-date coverage of the quickly evolving subject matter written in a lively manner that has been embraced by thousands of students around the world. Authors Nyla Branscombe and Robert Baron—both respected scholars with decades of undergraduate teaching experience—generate student excitement by revealing the connections between theory and real-world experiences. The Fourteenth Edition offers updated content to engage students, as well as new “What Research Tells Us About…” sections in each chapter that illustrate how research findings help answer important questions about social life.